I have you ever heard of Neem Oil before? It’s an natural organic product that can act as a pesticide without harming beneficial insects, pets or people. 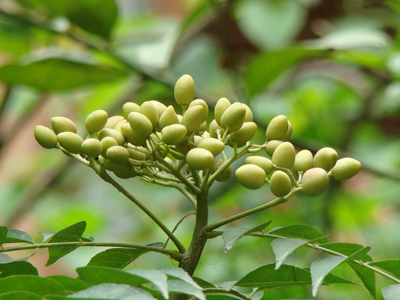 I found this great American based business called, Neem Tree Farms in Florida that sells all kinds of Neem products to use in your organic gardening as well as health supplements and even the trees themselves. Having said all that, I wanted to share the article that first got me interested in learning more about Neem. It was this great article on Real Farmacy. Check it out for even more information on the benefits of gardening with Neem. It’s a very informative site. via Neem Oil: The Wonder Spray of Organic Gardening | REALfarmacy.com | Healthy News and Information. This entry was posted in Uncategorized and tagged Neem, organic gardening, Real Farmacy by Julia. Bookmark the permalink.